Mr. Samoray joined Copperhead Environmental Consulting, Inc. in July of 2011 where he has served as a field biologist and project manager. He received both a B.A. and M.S. in biology from Middle Tennessee State University. His undergraduate work focused on amphibian and reptile research. 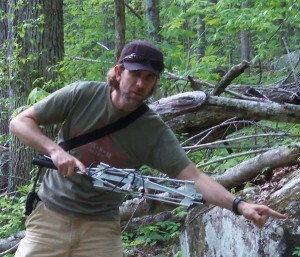 His Master’s thesis involved bat acoustic monitoring and habitat use. Mr. Samoray has been conducting biological field research throughout the United States since 1998, focusing mainly on herps, birds, and bats. His extensive work with cave and forest bat species has given him the opportunity to handle and identify thousands of individuals including the endangered Indiana bat and gray bat. Steve is proficient in the use of mist nets, harp traps, radio telemetry, acoustic monitoring/analysis, and bat counts using various techniques such as thermal video recording, near infrared video recording, guano measurements, and direct counts. He has participated in hundreds of cave surveys throughout the Southeast and Midwest United States. Mr. Samoray has also been active in the bat research community for many years. He is the president of the Southeastern Bat Diversity Network, currently serves on the board of the Tennessee Bat Working Group, and administers the websites for both organizations. Additionally, Mr. Samoray holds a commercial pilot certification with over 1000 hours of flight time. He has participated in over 25 aerial telemetry projects focusing on bats and has conducted aerial American Bald Eagle surveys.